But it was not, as some had predicted, the end of the world. Instead, the apocalypse was simply the prologue for another bloody chapter in pony history. In the early days, thousands were spared the horrors of the holocaust by taking refuge in enormous underground shelters known as Stables. But when they emerged, they had only the hell of the wastes to greet them. This is where your story begins. Sealed within Stable-27 with 1000 other little ponies of all walks of life, the clean simple life of the stable is all you've ever known. 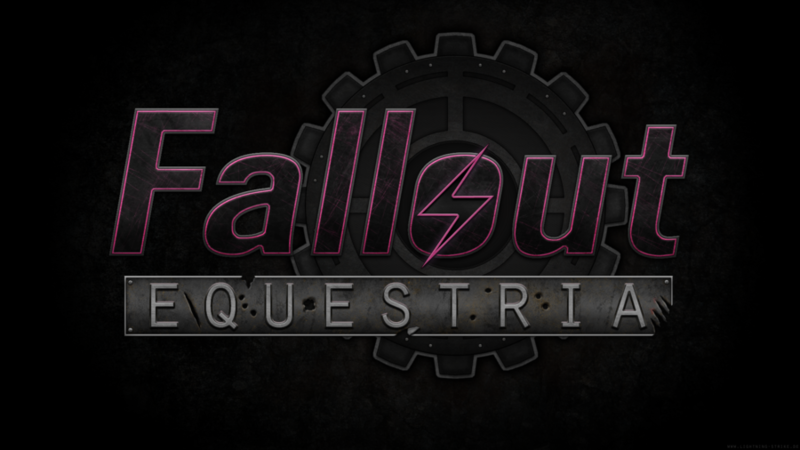 When horrors from the wasteland above begin to seep through the sealed walls of the stable you are thrown into a baptism of fire as you and the remaining ponies are forced to fight for their very lives. When the dust settles and the stock taken, over 200 years after the bombs fell most the population were either dead or dying from the radioactive parasprites that invaded. With little choice left in the matter, and the water talisman damaged in the fighting, the only remaining course of action was simple. The overmare would send you and a small group out into the world above to find a new one. But would you and your little group be able to face the hardships of the wasteland and save the lives of those who depended on you? Can you survive the hardships that await you? Or will you die like so many before you? The wasteland awaits you. And so do the horrors along with it. Current roleplay slots are closed. Survivors- Spark Plug, Arctic Heart, Silver Night. Chapter-1: Welcome to the wasteland. Last edited by Sweetie Belle on 8/21/17 03:06 PM, edited 1 time in total. 200 years have passed since the bombs fell and the destruction of civilization as we knew it came and went. Your stable, number 27 was recently breached by a number of radioactive parasprites resulting in the deaths of over half the stable's population, and the damage of the water talisman that allowed the entire stable to survive. With the device slowly dying and repairs being carried out on what they all could. The overmare however, has requested each of you gathered to risk your life to save your fellow stable dwellers. Of course, it was not without much reluctance did you all volunteer. All of you scared for your own reasons, your own desires being squashed by the idea of leaving your home for so many years. But, it still decided you would be the ones to venture out, risk your very lives, and become a hero to all those you called friend and even family. And there you three stood, at the entrance of the large steel door that was the opening to the land outside. 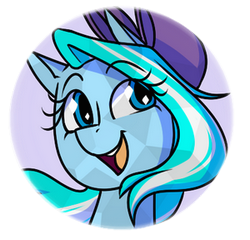 Slowly, a pack was levitated out to each of you by the overmare herself, a thin sweet looking mare with a soft navy blue mane. Her speech of importance was of little importance, merely covering all of what you all knew already. Retrieve the talisman from the Stabletech warehouse a week from where the stable was located, and return to the stable with all haste. Your mission seemed simple enough. It was likely to be easy, at least that's how the overmare wove it. Speaking how the radiation was likely all but dissipated and rendered inert. Lies probably, but no one really knew at this point. Though rumors spread that the wasteland was utterly inhospitable. Given the attack from the parasprites. Still, this was your mission. Each of you would be given a simple assortment of equipment. 5 stims, 2 rad aways in the unlikely event you found yourself in irradiated areas, 1 healing potion, a small number of healing bandages as well as a basic 9mm pistol for each of you. Two clips of ammo and a baton for personal defense. However, one of you whom had the most weapon training would receive a rifle able to better fight off the possible horrors to come. Arctic heart with her minor training from the stable security would be best suited to hold such a thing, as well as the three clips of bulk ammunition. Sparkplug would be given a number of small tools, including a stabletech satchel and key able to repair and restore the pipbucks if and when they take damage or become disabled. She is also given a few tools to repair other items you may find along the line within the wasteland. It wasn't much, but then again the idea that the wasteland wasn't that terrible was rooted in the minds of everyone. Including you all; propped up by the overmare and her hope that it would be easy. But would it really? Could the wasteland be so simple as she said it would? Perhaps. But as you stared at the large steel stable door you all would have the apprehensive thought that maybe... just maybe, you would never see home again. Spark took a deep breath, she couldn't really hide it, she was nervous. A sickly feeling in her stomach, fear churning away for what might be out there. She and no doubt the others had only learned history of the land before, the different ministries set up to protect Equestria. Spark was a technician for the stable, she had spent most of her time down in the nuck and crannies of the stable, patching it up and repairing machines that kept the stable up and running. These two she was going to venture out with, she hadn't really spoken with, only occasionally seeing them in the break room or whenever a stable meeting took place. She gulped and closed her eyes, counting down from ten to zero in her mind. The overmare had been generous though, which had given her some comfort and she wasn't without her tools. She may not be the best at fighting like the security coming along but at least she'd be able to repair their rifle. She just hoped the overmare was right, maybe it wouldn't be that bad. "well... here goes huh?" she spoke to the other three, her eyes locked upon the large steel door that kept the outside from entering but was now to be open for them. "I.. I have an idea though, if possible.. we should try and locate Stable-Tec's main offices, where ever they may be. If anything, they should have some information on how to find another water Talisman, find me a working Stable-tec Terminal and I should be able to get some information for us at least" She quickly piped down though, again she wasn't used to speaking a lot with others but that was her solution and if the other two had other plans she'd follow along without argument. Silver bites the bottom of his lip, eyeing the two mares nervously. This quest, so to say, has him worried. He has faith in his companions, no doubt about that, but after hearing what the wasteland might hold for them, he's rather not go. But he already agreed to this, besides, they have no choice. Some ponies have to go out there and save the stable. Being a pegasus, the odd one out, his flying ability is invaluable. His birth, -one in a million, thanks to the genes of a distant grand parents- he was born a pegasus. Luckily, this stable has a massive atrium, several stories high, in fact. This provided him with place to learn to use his wings, thought not to great effect. He ruffles his wings, his muscles tense. "Yeah. This is it." He swallows nervously but listens to what the mare has to say. He nods in agreement. "That seems like a solid plan, they must have some sort of inventory somewhere." He smiles shortly before he drops it, the weight of the quest getting to him once again. His wings sag as he heaves a sigh. The farewell with his parents had been hard but he kept a straight face, more for himself then anypony else. The stallion shuffles his hooves awkwardly before eyeing the door. "I do wonder what's out there." He turns his attention back to his companions. "I'm ready." He says, before quickly adding, "Well, ready as I'll ever be." Arctic Heart was the last to arrive at the stable's entrance by a couple of seconds as she looked at her small group of 3 who will be with her on this quest from the Overmare to find the talisman. She'd stand by with the other two as she was feeling excited but a tad bit nervous. Her father being in the stable's security and with him having taught her about weapons and even fired said weapons at the shooting range inside the stable. When she got the Varmint rifle, she remembered it having only fired it twice. She'd look through what she was given and nodded to the Overmare. She'd look at the large steel door that looked like a cog wheel. This being her first time anywhere near this large door that was the main thing keeping everything outside from coming in. The light blue crystal unicorn couldn't hide it, she was a tad bit scared of what lurked out there in the Wasteland. Her crystal coat sparkling from how shiny it was. She having a small purple bow on her mane near her right ear, it was given to her from her mother for luck when she was a filly. From the looks on the others she was with them on that. She nods as well looking at the door, "..That sounds like a plan." She says looking over closing her pack with her sky blue magic. She'd look at who she'd be with venturing out into the wastes.. She looked at Spark a little bit feeling she might of saw her once, but it was unclear. Looking to the stallion of the group as she has seen him around. Never really talked when they passed by, only glanced, maybe waved. Looking back to the door she sighed as she felt this was it, "I'm ready." She says thinking about her goodbyes to her mother, father and friends. Longest hugs she had ever given to anypony.. She had second thoughts but, she was going through with this, somepony had to do this. This was to save their home and everypony that lived in it. With their equipment gathered and their goodbyes said to their families the stable dwellers were ready to venture out into the wasteland. What awaited them, no one knew. And as the Overmare clicked the buttons on the terminal to begin the slow process of opening the stable door, the screeching groaning of heavy metal beginning to moan and slide away as the center gear shaft released the lock the damp dark air of the tunnel began to flood from the entrance and wash over the three of them and the gathered guards at the opening. "All three of you." The overmare said as she smiled. "You go to save us all. Remember that." She said before ushering them out with a waving hoof, the cold dark tunnel waiting for them. But, before any of them could move of their own free will, the overmare would suddenly lift the three with magic energy tendrils, roughly shoving Spark Silver and Arctic outside of the door. They would simultaneously drop together, possibly catching themselves, maybe not, before the loud screeching of the door once more began to fill the air. If they happened a glance backwards to the overmare and her guards, they would see unbridled fear over her expression before the door slid shut and sealed. Locking them outside of their home, away from their families, and away from the only place they knew as home. With a final hiss and clang, they would be on their own. The tunnel however they would find themselves in would be cold damp and dark, neary the only light being from their pipbucks, the glowing ghostly lights illuminating them and only them for the time being. The dripping of small droplets of water echoing off the walls and the earthy scent of dirt and moss filling the air around them. Maybe... it wasn't so bad right? If there was moss growing just outside the stable door, maybe the Overmare's words were right? Life prevailed over the destruction? As they were flung out into the damp cave, she let out a soft gasp landing upon the floor. That, she wasn't quite expecting, she was ready to leave but seems the overmare wasn't giving them any chances of backing out. She got back onto her hooves and looked back to the overmare as the door was slowly shutting, her hear sank upon seeing the fear within the overmare's eyes. She gulped and dusted her self off, looking to the others and then down the damp cave they now stood within. "W..Well guess we can't turn back now huh" She said, trying to have a positive attitude about it but of course inside she was scared. She looked to her pipbuck though and swiped her hoof across the screen, checking the effects and local radiation levels. All seemed good here at least and the moss growing around the entrance was surely a good sign. All the lessons she had learnt through schooling, all the stable-tec videos explaining the radiation, the megaspells, none of it could really prepare her for what was to come. She Looked to the other two though and tried to give a reassuringly smile though one would notice she was quick to move to the back of the party. The other two were no doubt better equipped, mentally to lead the group out of this cave. Scratching the back of her head though, she used her magic to pull out her gun, poor mare hadn't even turned the safety of, at least it was loaded. She held it front of her and waited for the others to lead. Silver managed to gracefully land face-first into the dirt, not expecting the levitation. "Alright then." He says, getting up and dusting himself off. Without even looking around, he shivers, the light of his pipbuck illuminating their surroundings. "Well," He says, his voice containing a light quiver. "That was nice. Not." He grows silent as he looks around the tunnel, it clearly being pony-made. The stone floor makes their hooves make a lot of noise. He closes his eyes and opening them again a few seconds later. Dang, they are still here. After watching his companion, Spark Plug, checking her pipbuck he does the same. Nothing seems out of the ordinary so he puts his hoof down. "We can't go back no. We can only go forward." He clears his throat, eyeing his companions before taking a few steps away from the Stable door and into the tunnel. "No way but forward." 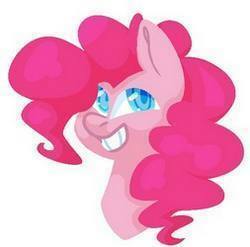 He mutters to himself, glancing back to see if everypony is following. As he looks back he sees the giant Stable door more clearly, a giant "27" engraved on it. His knees turn into jelly for a second, before he steels himself, flashing a warm smile at the mares. It's gonna be okay. It's only a short trip right? What's the worse that can happen? Arctic watched as the door began to open and cringed at the horrid sounds the door gave off. Once it was done opening she'd look out into the dark cave outside the door and then felt the suddenly lift and push into the darkness. She'd land of course as she looked behind as the door closed seeing the overmare's face. Once the door was sealed, which was seconds after looking at the overmare she'd face the door with the stable's number on it. She would give a couple of seconds to adjust to the dark, but it wasn't use as she took a moment before her horn began to glow, then a beam of light shot out of it as she aimed her light about then down opposite of the door to see what was in the darkness before them. She rethinking of the overmare's words as well as the look on her face. She wasn't thinking of bringing out the weapon as there seemed to be no real danger ahead unless you feared the dark.. She'd walk right behind Silver, but a little to the side to light the way for Silver, "It was rude of her to just push us out like that.." She says sharing her thoughts on that. She'd look back aiming her light which went dimmer as to not blind Spark, she'd check to see if she was behind them before looking back lighting the way ahead for Silver. She'd start taking note of the moss and droplets of water coming from above as well the smell and how the temperature felt in here. It was kinda reassuring that life could of come back from over the destruction.. There was only one way to find out and only one way out as well it seemed. She'd smile back to Silver a bit nervous, "..I'm really hoping to see green grass and trees when we are out of this cave." She says out to them as her voice echoed for a tiny bit and replaced by the sound of their hooves walking on the stone and drips of water hitting the stone about them. Fear unrestrained and terrible fear was all that Arctic would see in the overmare's face as the door slid shut. There was something in her eyes that screamed worry and terror. As if the reaper himself was holding a blade to her throat. What had her so worried... well only she could say. Perhaps the stress? Perhaps the idea of her ponies being eaten alive by once thought harmless parasprites had rooted in her so deeply? Who could really say? For there was now 10 feet of solid steel between them and her. the only comfort for them being the light shimmering from the pipbucks, and the glow from Arctic's horn as she began to lead them through the long dark tunnel away from the stable. And there would be no mistake, it was a long walk through the darkened tunnel. How long had they walked? Seconds? Minutes? Maybe hours? According to their pipbucks roughly 20 or so minutes spent in this damp earthen smelling cave. And they didn't seem to be making much progress. Though the farther they went, the more each would begin to note that the dampened state of the cave was beginning to change. Slowly the cool air of damp moisture began to fade. Though, the sound of wind would be heard as around the bend of the tunnel a small beam of light would become visible, slowly and gently illuminating the tunnel as they made their approach.